Fish Dinner on Friday May 18, 2018. Five Stars for Atmosphere, Service, Food and Drinks. The fire pit for roasting Smores was a great ending to for our dinner party. 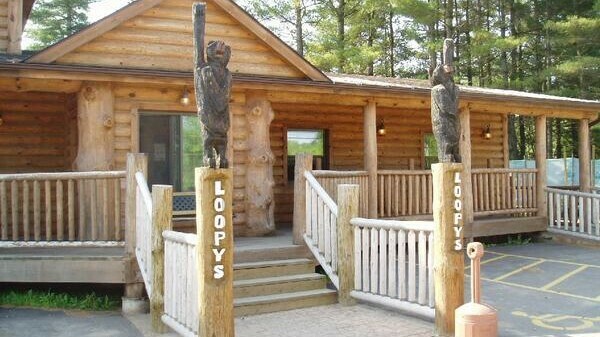 You can dine inside or out in back with a great view of the Chippewa River. This is a restaurant/bar that supports Veterans and Charitable Organizations. Well Done! Please disregard previous review. I ate here a couple weeks ago, and the waitress was awful! Right off the bat she looked like she hated her job. I don't think I saw her smile the whole time we were there. She was kind of snotty when I asked what kind of Leinies they had on tap, and simply answered that they had 12 kinds (like it was too much to list them off). Then she ignored us for the rest of our meal. Definitely was not impressed.